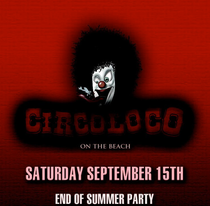 Saturday 15th September marks the first Circo Loco daytime party to ever take place in London. 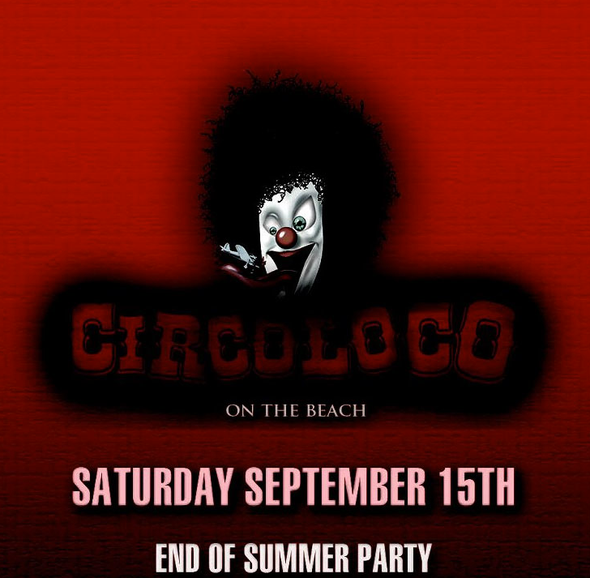 The party will be held at The Beach, Tunnel Avenue, in the Greenwich Peninsula, on the banks of the Thames with the full Circo Loco family and siblings out in full force. The first artists were recently revealed and include Derrick Carter, Tania Vulcano, Damian Lazarus, Davide Squillace and Clive Henry with more yet to be announced. Derrick Carter is regarded as one of the best and longest standing key figures amongst the underground house players. He’s become known all over the globe as the man with the boompty boomp, a phonetic attempt to describe his own distinctive underground house sound, now synonymous with Chicago, Carter’s home and musical base since he started making tunes in the late-80s. Synonymous with Circo Loco and Ibiza’s infamous DC10, Barcelona based Italian Davide Squillace is more of a performer than an artist. As well as running his own labels, he also has a long back catalogue of productions dating back to 1998 including ground breaking imprints like Supernature, Sci + Tec and Loco Dice’s Desolat. Tania Vulcano was at DC10 when it all began on those Monday mornings back in 1999 and continues to be a beacon for quality underground music. Whilst still typically playing the headline Terrace set for Circo Loco at DC10, Tania is a global representative for the institution. Clive Henry is one of the UK’s longest standing flag-wavers for underground house music, having been one half of the genre-defining tech house outfit Peace Division and resident at DC10. This event is already on its 4th release of tickets!